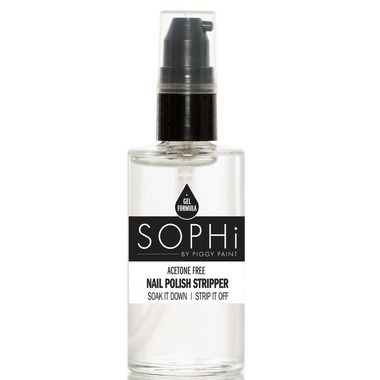 The SOPHi Nail Polish Stripper is a new and improved gel formula nail polish remover. It is acetone free, low odor, and eco-friendly. This gel stays in place on the nail for easy and mess-free removal. Apply a drop to each fingernail and spread to edges of polish. Allow to soak on nail for 1 minute, then use paper towel to simply wipe away nail polish! The directions for use are a little misleading. If you apply a drop to your nail it ends up evaporating before the recommended minute is up. I ended up using a very generous amount & repeated the process a few times. I found simply wiping the polish off with paper towel was not enough and used my finger nail to scrap it off (with the paper towel in between). Apparently there is a stick that you can buy to help you with this process. They should include this tool with the polish remover as it likely would have made the process easier.